You are here: Home / Blog / aerobic exercise / Fidget Spinner Workout – Exercise While It Spins! Fidget Spinner Workout – Exercise While It Spins! Right now, fidget spinners are everywhere. Whether they are banned from your school or not, here is a fun way to add in some overall exercise while your spinner spins! You can download your FREE fidget spinner workout below. Years ago, I created a fun printable with a different DIY spinning top (you can view that here). I thought I would update it so children can use a fidget spinner to time their exercises. 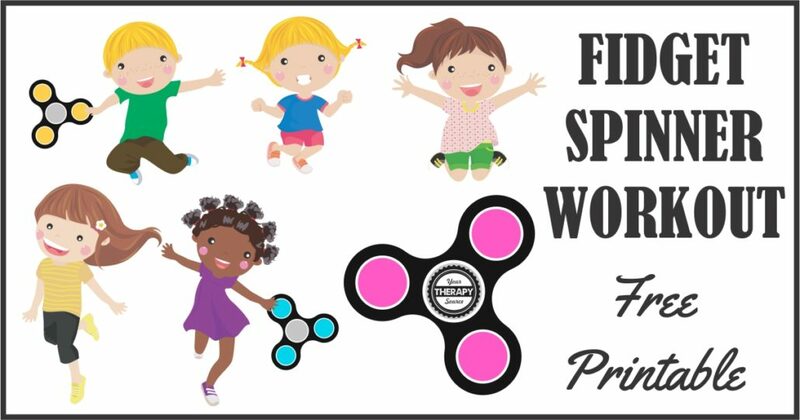 The fidget spinner workout would make a great in class brain break to get the body ready to learn again. How to Do the Fidget Spinner Exercises: Get the free download below and print. Spin your fidget spinner. Try to do the exercises listed the entire time the fidget is spinning. Put a checkmark in box when completed. Write down some additional exercises that you want to try while the fidget is spinning. 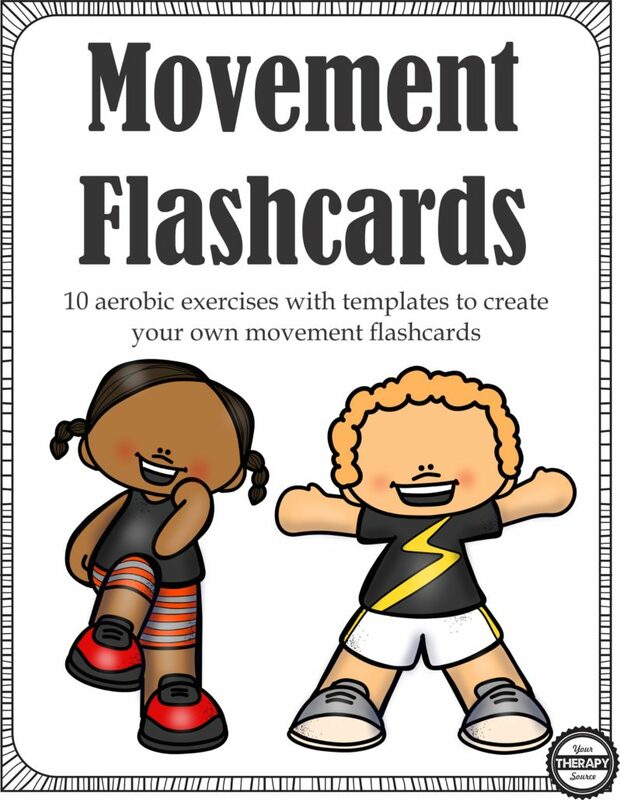 If you need more quick aerobic exercise workout for children check out Movement Flashcards. This digital download includes 10 aerobic exercises with flash cards templates. Students can get physical activity while reviewing material. The 10 aerobic activities include: run in place, jumping, hopping, squats, lunges, skipping, twists, cross crawls, jumping jacks and marching. Each page includes a picture image of the aerobic exercise along with a blank template to type in 18 flash cards. You choose what to work on for academic material. FIND OUT MORE.